Many times Windows users wants to try Mac OS X because of its look and its amazing style, but due to some reason they wont be able to try it. In past we had shared some nice skin pack of Mac OS X lion for Windows XP and Windows 7, but there were no good skin pack for Windows Vista users. 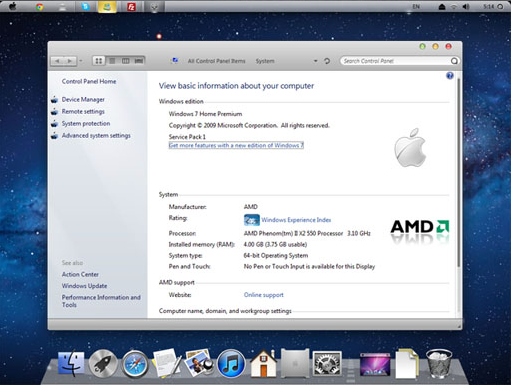 But now Vista users can also enjoy Mac OS X Lion too, windowsx a user at DA has created Lion Transformation Pack which can transform Windows XP, Windows Vista and Windows 7 into Mac OS X Lion. This skin pack will install new Mac OS X Lion like icons, Logon screen, Boot Screen, dock, cursor, sound scheme, wallpapers and lot more.